Have you ever been curious to know what type of wood you have in your home, either on your hardwood floors or kitchen cabinets? Wouldn’t it be cool to be able to tell your friends and relatives what kind of materials they have simply by assessing their cabinet wood grain patterns? Aside from making you a bit more knowledgeable, this trusty skill can definitely come in handy when choosing and identifying wood products for a remodeling project. Become a Cabinet Wood Grain Pattern Expert! To people who do not have adequate experience setting apart cabinet wood grain patterns from one another, it can be almost impossible to distinguish the species. Once you become familiar with the more commonly used types, however, you will find that it is not at all hard to analyze them. 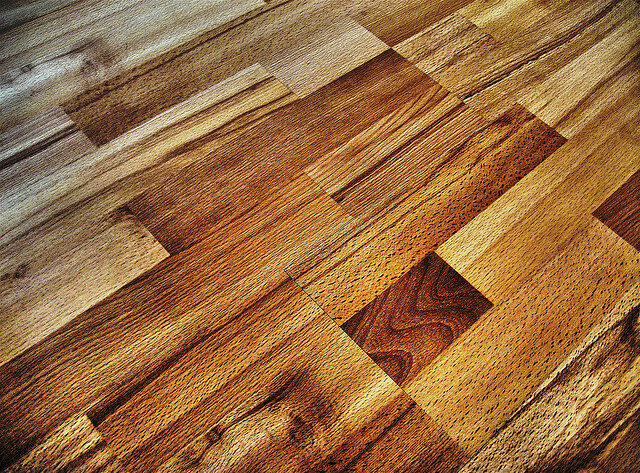 Before you know it, one quick look is all it will take to know exactly what kind of wood you are looking at! Nearly every hardwood, including alder, ash, oak and hickory, features a series of small indentations and an overall porous texture. (Maple is the exception to this rule because of its more slick feel.) As such, they have wood patterns that go with the grain. On the opposing end, softwoods like spruce, fir, and pine are not porous and do not have any visible indentations on their surfaces, making these types of wood appear to not have any grain patterns whatsoever. Next up are the color variations. These should be checked before you begin inspecting the cabinet grain patterns themselves. The vast majority of softwoods and hardwoods consist of off-white coloring, though some species such as walnut, cherry and mahogany are known for their dark brown/red complexions. There are very few softwoods that are dark. If you notice brown to black grain lines in the wood, it is likely hardwood. For more specific identifications, oak is typified by a flame pattern and broad lines, ash has more complex grain lines that come to a point, maple is widely understood to feature varying wave patterns, and alder has wandering lines. The cabinet wood grain patterns in softwoods are less defined and vary by type.